For more than 20 years, Ivis has helped brands build their reputations while cultivating strong relationships with key reporters and editors along the way. Her knowledge of the technology and consumer electronics industries helps her craft relevant and newsworthy media pitches. 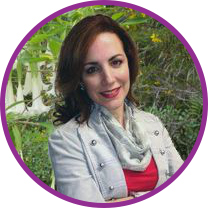 She came to Fusion from GrupoUno, a full-service communications firm, where she spent 13 years working for Fortune 500 brands such as Canon Latin America, AOC, Polycom, Kingston Technology and Cummins Power Generation. Ivis earned a Bachelor’s in Journalism from ULACIT in Panama, and a Master’s in Corporate Communications from EAE Business School, Barcelona. She is a member of the Public Relations Society of America.